Street art has arrived at a place so inaccessible that even the most reckless, renegade taggers hadn”t been able to reach it–until now. 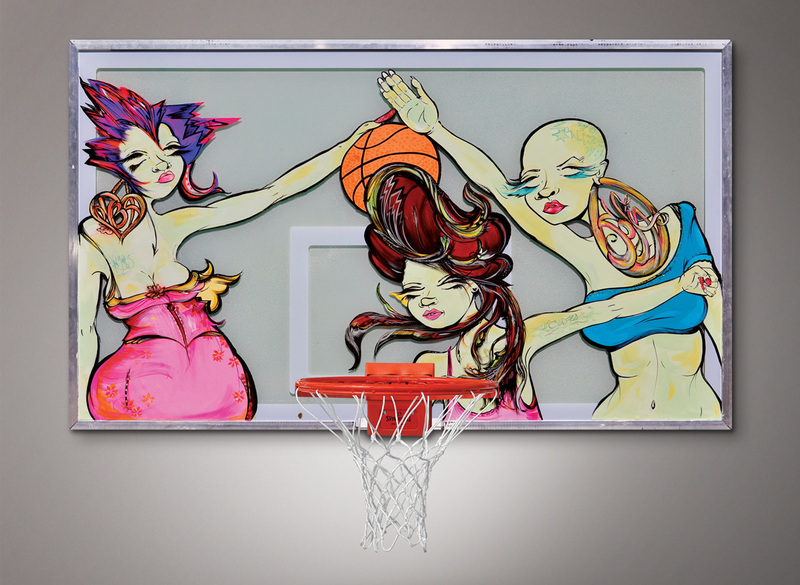 Billi Kid, an artist, curator, and “brand manager” of a company called Public Works Department, convinced the NBA to license official backboards so that graffiti and street artists could paint on them. 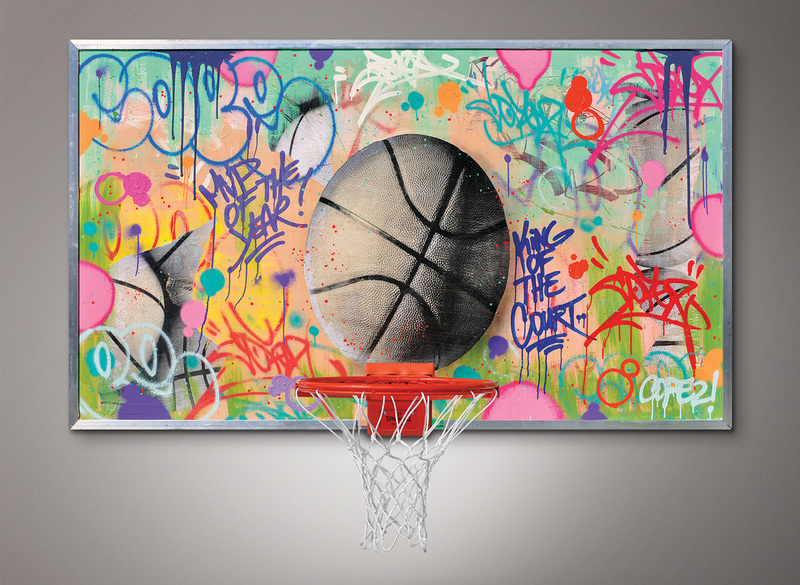 To coincide with the NBA draft, Guerilla Galleries will feature 16 of the 180 backboards in a show opening June 23 at One Gateway Center, across from Newark’s Penn Station. 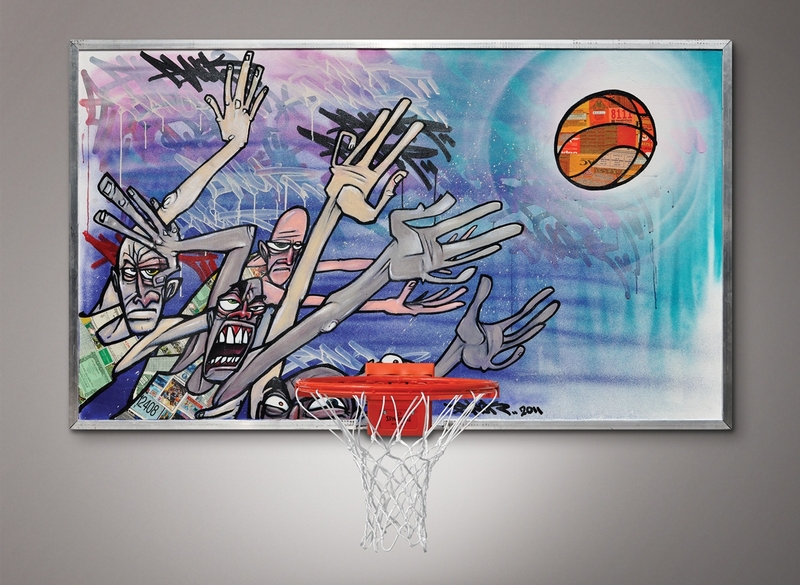 (The party is 6 p.m. to 11 p.m.) Public Works charges a cool $15 grand for each backboard (some proceeds go to Newark-based charities).